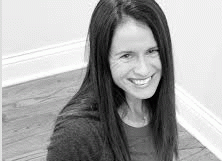 My guest today is Feldenkrais instructor, Sarah Leibov. Welcome to OpEdNews, Sarah. JB: I can guarantee that many if not most of our readers have no idea what the Feldenkrais Method is. What can you tell us? SL: The Feldenkrais Method is named for its founder, Moshe Feldenkrais. Feldenkrais created hundreds of choreographed lessons with the intention of improving human function and self image. In these Awareness Through Movement (ATM) lessons, students explore small, comfortable movements that translate to large changes in mobility. Common benefits of practicing Feldenkrais include increased relaxation, improved posture and flexibility, and pain relief. Combining focused attention and gentle action, this method is ideal for older students or anyone who can appreciate a sense of enhanced ease in everyday activities. I frequently tell people that to really understand Feldenkrais they need to experience it! JB: So true. Speaking of that, how did you come to be interested in the first place? SL: It was a happy accident. I attended Tel Aviv University in 1998 and had a student membership at a local gym there. I wanted to attend an exercise class, but couldn't read the class description because it was written in Hebrew. I took a chance and showed up to the class anyway. When I saw people rolling around on the floor, I assumed that they were doing yoga. I joined in, imitating people's movements when I couldn't understand the Hebrew instruction. After a while, I realized that it wasn't yoga, and I didn't care. My lower back felt better, and my digestion improved. I took all the classes I could and some fellow students explained what it was. When I returned to the States, I took ATM classes wherever I could find them. I found a teacher training close to where we live, and visited it periodically to observe before finally committing to the program a few years ago. It wasn't until I joined the training that I learned about the other aspect of the Feldenkrais Method, Functional Integration (FI). JB: A happy accident that changed the direction of your life! What's the other aspect of Feldenkrais, Sarah? Can you explain it so we laypeople can get it? SL: Functional Integration (FI) is a one-on-one approach where a Feldenkrais practitioner increases the student's body awareness through touch or gentle motion (similar to what one might learn in an Awareness Through Movement lesson). The goal of these lessons is similar to that of ATM in that the student learns a great deal about his body and its function, but the approach is more personalized. The practitioner interviews the student and observes his motion before deciding what to focus on during the lesson. A lot of people come to Feldenkrais this way. They try FI after finding that other traditional therapies don't work for them. JB: If FI is what I think it is, that's how I came to Feldenkrais many moons ago. Friends gave me a private lesson as a birthday present back in 2000 and I've been hooked ever since! SL: I love your story of how you discovered Feldenkrais. The method is a well hidden secret, too well hidden. I'd like to introduce it to as many people as possible and eliminate some of the mystery. JB: When you and I got together recently, you described Feldenkrais/ATM in a way that really resonated with me. Can you share it with our readers, please? 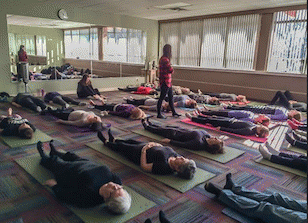 SL: A goal of Feldenkrais is to develop and thereby improve one's self image. If I found myself alone in a foreign country, I would fare much better with a map. The more detailed the map, the better options I have to travel from place to place. The better developed information on the map, the better informed my decisions will be. Similarly, the Feldenkrais Method helps to create a detailed sensory map of the body. If I am aware of how my body moves, I have more options for ease in my movement. I am better able to determine habitual patterns that hold me back and break free of them. I improve the relationship of myself to my environment, both physically and emotionally. View All 6 Articles in "Sport/Fitness/Health"
Other Series: View All 59 Articles in "Careers"